Any info on the dealership Top Gear Imports? Anyways, not hatting here, just trying to be fair. Maybe you saw another car and not he one with the 15K miles. sounds like one helluva prestigious event. In what place did summer's eve come? Congrats on winning second place at the douche awards! Last edited by Cemoto; 10-22-2013 at 06:31 PM. Please, how can one not understand how a first or second time poster's opinion would be taken with some skepticism? One only needs to look at the Motor Meister thread on Pelican to see the shills that frequently join to give them thumbs up, or post drivel trying to derail the thread. Wonder what other makes compete in a Douche event. Besides makes, how about what "models" also? Surprised a BMW didn't win. At least you know the tacos are fresh at the concession stand. Hmmm. Fishy tacos at a Douche Marque event? We invite everyone to come down to our 20,000 sq ft warehouse to view our inventory of over 50 Air Cooled Porsche's in person. We also encourage PPI's. There are "speculators" and then there are "buyers". 100% feedback score on eBay from "buyers" is our score board. 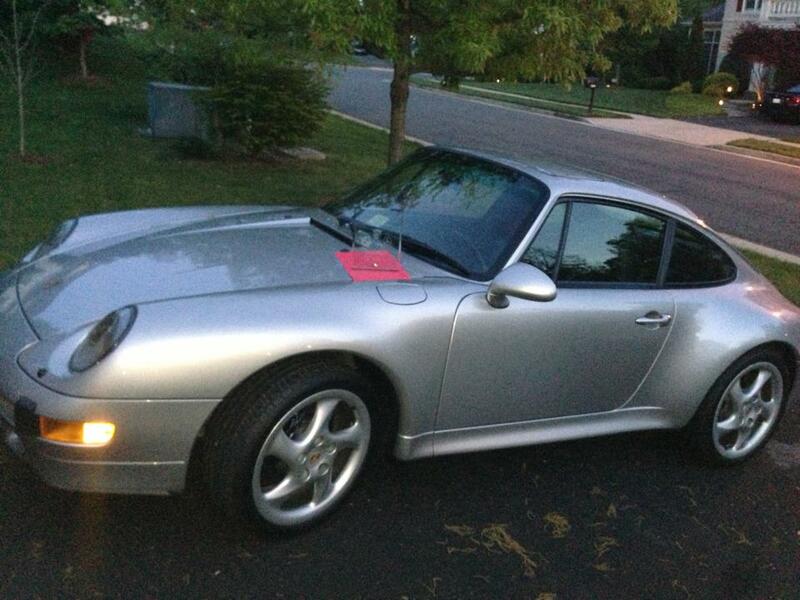 yea, that 100% feedback rating on ebay is what all top of the line Porsche Air Cooled dealers aspire too. Shame, Canepa, Sloan, Holt, and Willhoit can't do better there. Wonder what kinda feedback Victory has on ebay? I thought I read that Motor Meister gets a good eBay rating? For all who are wondering about Top Gear Imports, I will attempt to help give some clarity. Sean the owner is a friend of mine. We met way back when he was an Audi and Porsche salesman at Town Motors in Englewood. He quickly rose to be a senior manager at the dealer and our friendship flourished as I bought and sold a number of cars through him. We became friends because of our mutual appreciation for Porsche. This guy is a true enthusiast first and foremost for theses cars. We have all heard and experienced our own horror stories dealing with dealers. I can attest to the fact that Sean tries really hard and his efforts emanate from a love of these cars. People need to remember that buying used is naturally a dicey undertaking as you are always inheriting some issue. The truth is that you have to do your own homework with a PPI and expect to do some work to get it into the condition you desire. As a dealer/wholesaler without a service department that makes money from warrantee service, it is virtually impossible to thoroughly check out every car for every little issue it may have, and beyond that it is financially unfeasible to perfectly recondition the cars. That said, I have known Sean a long time and he really does try very hard. A visit to his facility will make that obvious. Still a PPI is a must as all his cars are used. The car business is a tough business. I tried to get involved in it after I sold my hedge fund business in 2006 and realized quickly that it is highly imperfect. There are a few good people in the business that truly love cars - Sean from Top Gear is one of them. I currently drive a 98 993 C4 cab and have owned 7 different 911s over the years. I am not involved in the car business in any way, I have no association with Sean or Top Gear and just wanted to help my fellow Rennlisters know the real story. I personally have all of my cars serviced by Cheech @ Rennwerke and I always have a PPI done when purchasing a used car. I think that buyers of used cars should rely less on the background of the dealer and much more on doing their own homework. Anyone considering buying a car from sean can have Rennwerke go down to Top Gear and do a PPI. Sean has a lift at the warehouse so PPIs can be done well. Rennwerke has a great rep of being a really tight shop. I hope this helps anyone considering Top Gear. Quick Reply: Any info on the dealership Top Gear Imports?